Quick Detach Systems are unique to mines and include items such as forks, augers, and reelers for cables or conveyor belts. In the world of underground mining, load-haul-dump machines, also known as LHD, are utility vehicles engineered for heavy-duty operation such as underground loading and hauling. While initially intended for towing materials in and out of the mine, LHD’s are routinely used for digging and waste removal, as well as other miscellaneous work. Somewhat resembling a forklift thanks to their versatility in application, LHD’s require specific extensions, called QDS attachments, to handle their various underground tasks. Quick Detach Systems (QDS) are unique to mines and include items such as forks, augers, and reelers for cables or conveyor belts. Their name derives from the fact that that the attachment can be quickly and easily removed, in order to be replaced with another one which may serve a different purpose. QDS machinery needs to be able to stand harsh conditions and a severely restricted workspace all throughout its service. 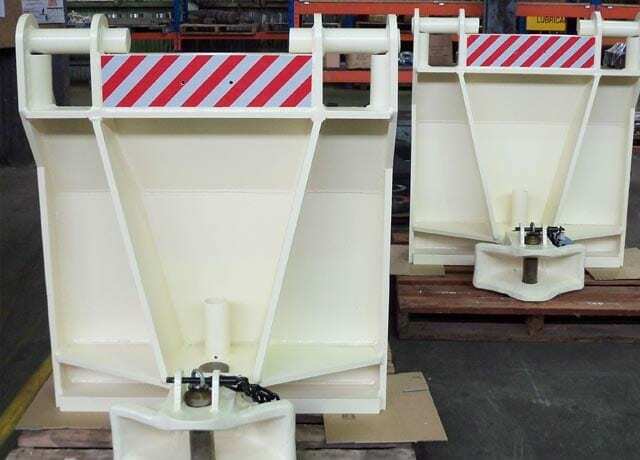 Australian Standards require for QDS attachments to go through crack testing at least every 12 months, especially seeing as a QDS attachment accidentally detaching in a drift tunnel can cause grave danger to personnel and property. The mining industry is notably subject to regular audits, therefore having a documented and well looked after set of equipment is imperative. Reliance Hexham provides design, manufacturing and testing services for a vast array of products dedicated to the mining industry, including QDS attachments. Our NATA accredited facilities and extensive knowledge allow us to manufacture equipment that will stand the test of time, using only high-quality materials, such as carbon steel. 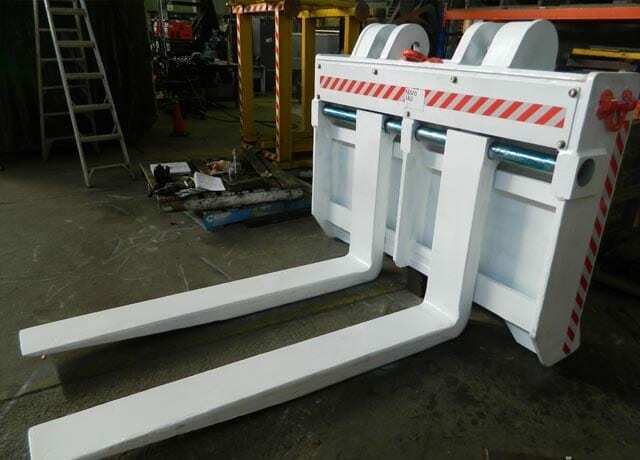 Our most significant asset is in-field experience: we can design and manufacture QDS attachments, and exhaustively anticipate the challenges and pitfalls that this type of machinery presents. Our tradespeople include expert blacksmiths, whose proficiency in tallying and lifting enables them to forge, rather than cast, products superior to the competition. Another factor that distinguishes our product is that it comes thoroughly proof loaded and crack tested. Proof Load testing is an assessment of any load-bearing structure, validating its fitness and resistance to strain. The method entails attaching a determined load to the device under test, and confirm that the device is subsequently free from deformation and fatigue cracks. For certification purposes, proof tests can employ weights that are significantly higher than what would be expected in actual use. Reliance Hexham is accredited by NATA to perform Proof Load testing from 0.4 to 200 tonnes. Magnetic Particle testing is a crack testing method making use of magnetic particles to locate fractures, both on the surface and within the object. Suitable for any kind of ferromagnetic material, such as steel, it is a fast, effective and inexpensive examination tool. Moreover, we can repair, test and re-certify existing QDS equipment as per Australian Standards guidelines. To learn about our other services dedicated to the mining industry, please visit our page dedicated to Mining. If you have any questions relating to QDS attachments, our team of specialists will be able to provide dedicated advice for your specific application and is always at your disposal for consultations or quotation requests.